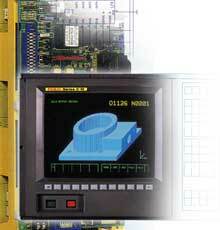 CNC Systems Ltd is a company that supplies system control engineers to industry in the UK and Europe. The company is involved in industrial control repairs and installation and CNC machine tool maintenance. We offer the services of on-site engineers in the UK and Europe to carry out industrial control repairs on automated plant. Some of the areas we specialise in are AC inverter, PID controllers and HMI interfaces. We also design and install control systems for all types of industrial equipment. For more information please proceed to our contact page. The company’s main business is the repair of CNC control systems in the UK and Europe. As an independent repair company we can offer the complete CNC machine tool maintenance package. We can diagnose and repair faults on either the control or machine interface thus only needing one engineers visit. We can also supply the Fanuc spares to complete the repair at competitive prices. For more information please either select one of the following options opposite or go to our contact page. In 2003 CNC Systems became a distributor in the UK and Europe for the Metrol sensor tool setters as used on CNC lathes and mills. We hold a large selection in stock and can ship for next day delivery.